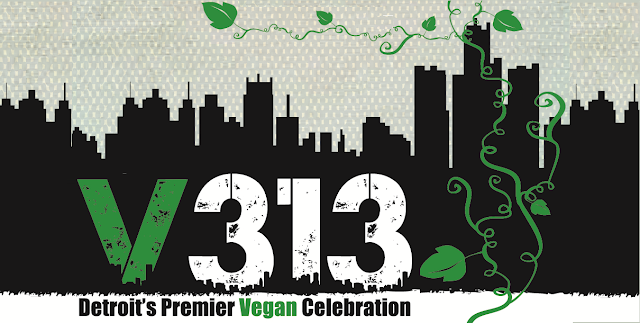 Hip In Detroit: V-313: The Eastern Market Goes Vegan this Thursday! V-313: The Eastern Market Goes Vegan this Thursday! Every Detroiter knows that the Eastern Market is the best place to pick up locally grown produce on Saturday mornings. But, did you know that they also hosts hundreds of cool events throughout the year in their indoor and outdoor sheds? This Thursday the oldest local market in the US will be hosting an all vegan festival that will showcase food, music, and goods that cater to those interested in living a plant based lifestyle. DeVries & Co. 1887 (cheese), Fresh101 (smoothie bowls), Nosh Pit (sandwiches and more), Plum Market (popcorn, grilled cheese and more) Safflower Street (dessert), Shimmy Shack (vegan burgers, fries and shakes), The Clean Plate (clean plant based meals), Veggininis Paradise Cafe (healthy vegan options) Aru Products & Services LLC (ginger beer) and Ice Cream Plant (vegan ice cream). There will also be a ton of vegan based vendors in house. This includes a variety of vendors selling vegan friendly items and local charities and groups that plant based people might be interested in learning more about. You can see a full list of all the vendors and find out what each of them does here. This Thursday's event will run from 3 p.m. until 9 p.m. and it's only $15 to purchase an advance ticket to the event. Advance tickets include $5 in concession vouchers, a VIP goodie bag and entry in the door prize drawing. The only set back is that there is no alcohol at the event, so plan on going for a drink with friends before or after if you need a little cocktail after work. We suggest hitting up Stache down the street!